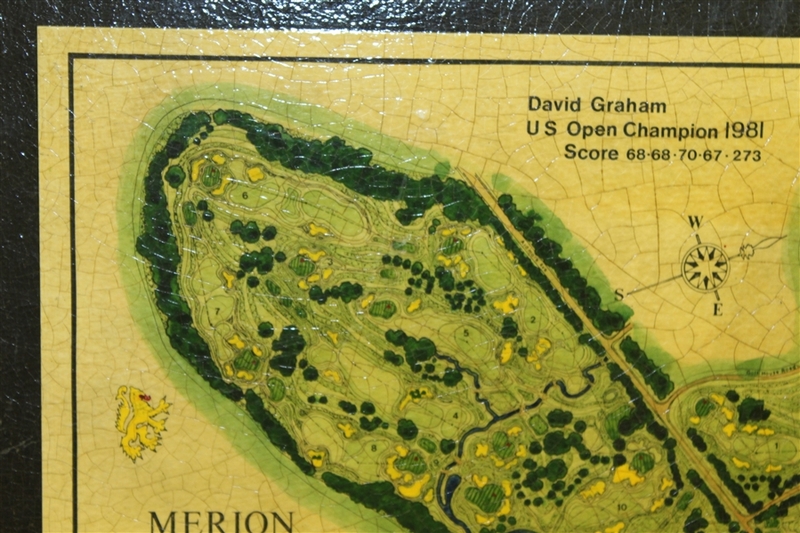 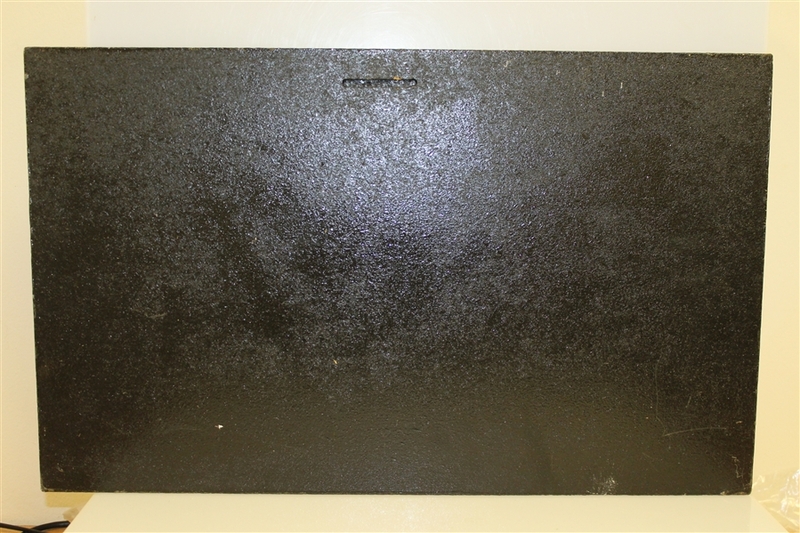 Offered here is a 15 1/4" x 25" board commemorating David Graham's 1981 US Open win gifted by the artist James Paterson Izatt. 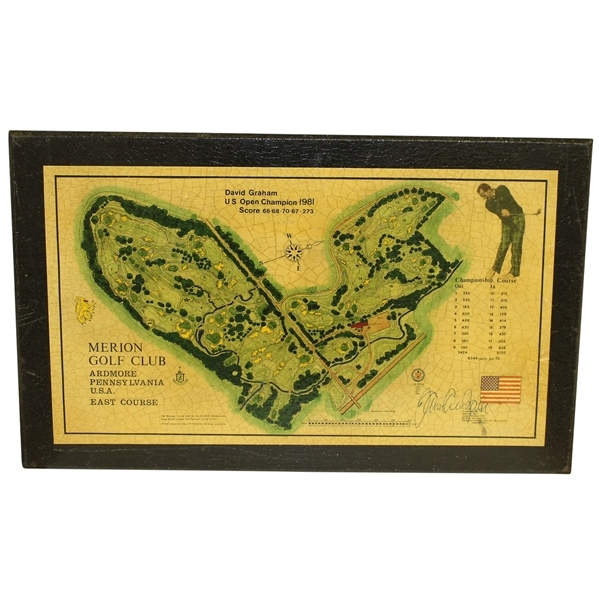 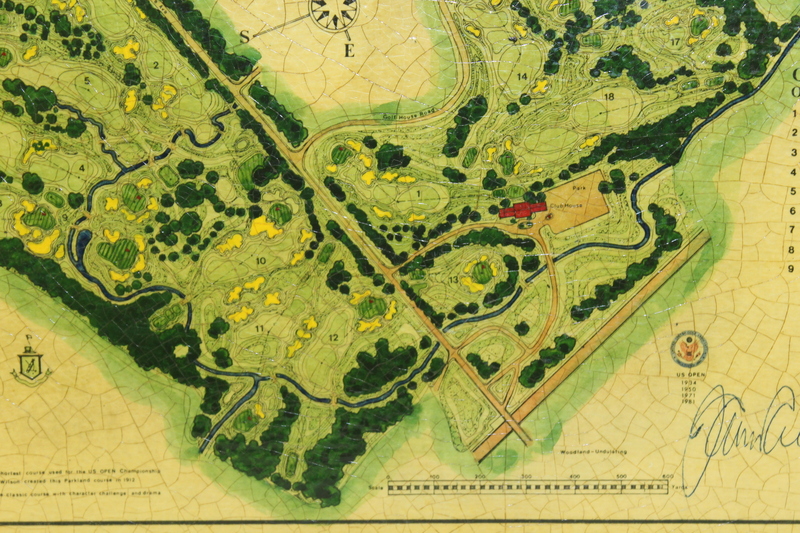 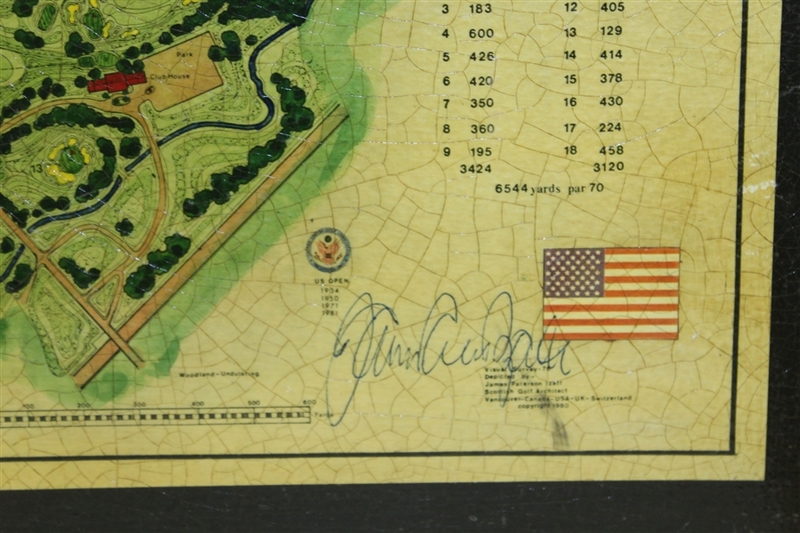 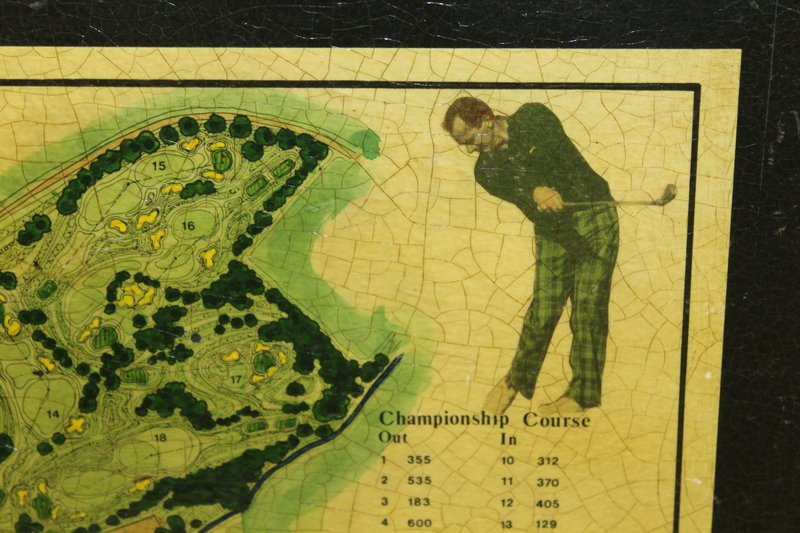 The board comes in great condition with crazing throughout, display the layout of Merion and a likeness of Graham. 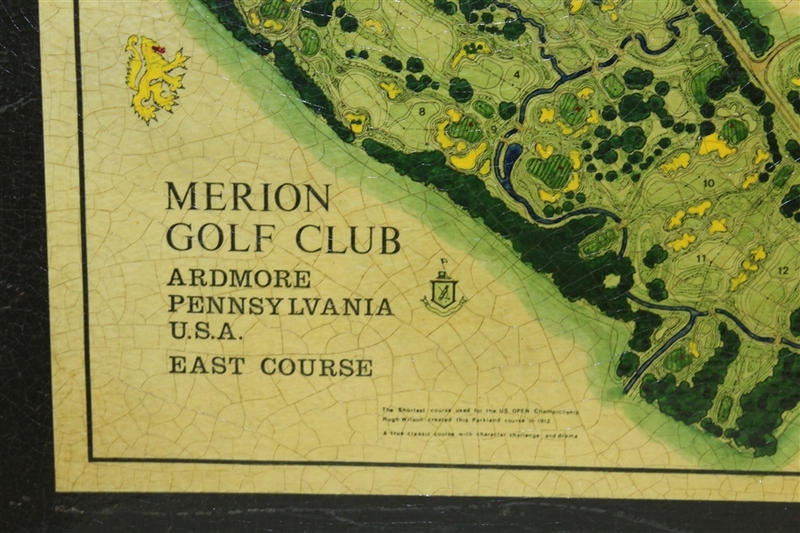 Graham had the distinct honor of being the first Australian to win the US Open when he claimed the 1981 title at Merion by three strokes over George Burns and Bill Rogers.